Jeffrey Lyle Giarde, known as “Jeff,” was born at Seattle, Washington, on October 7, 1941. He attended Grossmont and Mt. Miguel high schools. In high school he was “Jr. Rotarian of the Year,” a Delegate to “California Boy’s State,” Secretary of the Boys Federation, Senior Class Gift Chairman, Key Club officer, Thespians member and voted Best Supporting Actor -1958-59, Student Council member, Honor Graduate (3rd best GPA among boys), CSF life member, and Accolade Graduate for service to the school. He was voted “Most Likely To Succeed” by his senior class and separately by the faculty. He was a member of the Lettermen’s Club and an officer of the Spanish Club. Away from school he was a DeMolay officer and a leader in his church youth group. Jeff enrolled at San Diego State in the fall of 1959, went through fraternity rush and was unimpressed. In the spring of 1960 he was one of the 8 young men at SDSU who formed a local fraternity, Sigma Delta Phi, due to their dissatisfaction with the fraternity scene at that time. 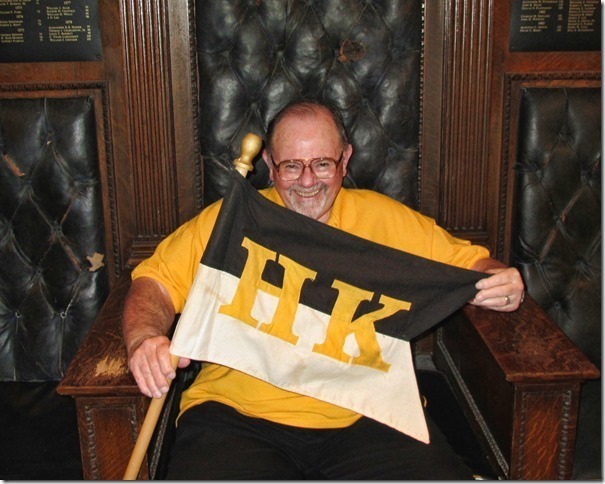 During Jeff’s fraternity years he served as the Activities Chairman, Treasurer, Pledge Marshal and three separate terms as the Commander (President of Sigma Delta Phi, first Commander of the Sigma Nu Colony and First Commander of Eta Kappa Chapter). In 1963 Jeff was a runner-up for Sigma Nu Personality of the Year which later was known as the Man of the Year. He did not win and the chapter could only learn that he was one of the 5 finalists. 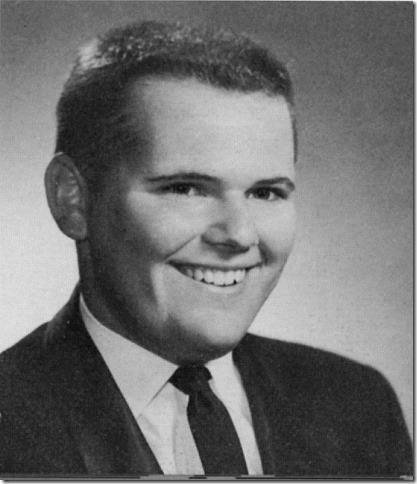 Jeff was the 1963-64 Organizations Editor of the Del Sudoeste Yearbook. After college he was the first Eta Kappa to serve as Chapter Advisor. He served in various house corporation positions including President and was also the President of the original Eta Kappa Alumni Chapter. Jeff left San Diego to accept an attorney position with the Court of Appeal. At the Court of Appeal he spent most of 16 years as the Chief Attorney which made him the right arm of the Presiding Justice. He managed the professional attorney staff, advised the Appellate Court Clerk’s office on legal matters and was the court’s ombudsman. In addition he authored thousands of “By The Court” appellate opinions – all appellate decisions in California must be a formal written opinion. He was appointed by Governor Deukmejian to the trial bench and served first as a Municipal Court Judge and later as a Superior Court Judge. He was never reversed by a higher court. Due to serious health issue and the advice of his doctors, Jeff declined an offer by Governor Wilson to appointment him as a Justice of the California Court of Appeal. Jeff retired from the bench for health reasons in 1995. While still on the bench there was an attempt to murder Jeff and his wife by some Skinhead Satanists. Only once did he have an opponent at reelection and after 50 speeches and the talented reelection talents of Leigh, he won in all precincts but one. While both employed and retired Jeff wrote several books. His first book was on age dating old glass milk bottles. In the same field he authored and illustrated a monthly educational newsletter for milk bottle collectors that later was complied into book form. He wrote a family history book on his Paternal Family dating back to the 1600s in Norway and included biographies of American and Norwegians both past and present. His work reunited the Norwegian and American families after more than 100 years of separation. Jeff authored an award winning weekly Kiwanis newsletter. He also authored a book on the early history of Sigma Delta Phi and Eta Kappa. It was a project for the 50th anniversary and took 4 years to research and write. Copies are housed in the Sigma Nu Library at Lexington and a small number of copies are still available for sale. In 2011, Jeff decided to reestablish the long defunct Eta Kappa Alumni Chapter. With assistance from Gil Challet and the cooperation of other senior brothers, the High Council reinstated our alumni charter. Jeff served as the Vice-Chairman of the 2012 Sigma Nu Fraternity receivership and it was one of the most disappointing experiences of his fraternity life. He has no regrets for serving but hopes that we never have to see that again happen to Eta Kappa. He currently serves as the Recorder of the HK Alumni Chapter. Jeff and his wife, Leigh, love to travel. They have been in all the states mostly on very long car trips. They have taken 112 cruises and have visited over 50 countries in their travels via land, sea and air.